Jane Eyre follows the emotions and experiences of its eponymous heroine, including her growth to adulthood and her love for Mr. Rochester, the Byronic master of fictitious Thornfield Hall. In its internalisation of the action-the focus is on the gradual unfolding of Jane's moral and spiritual sensibility, and all the events are coloured by a heightened intensity that was previously the domain of poetry-Jane Eyre revolutionised the art of fiction. The author, Charlotte Bront has been called the 'first historian of the private consciousness' and the literary ancestor of writers like Joyce and Proust. The novel is a first-person narrative from the perspective of the title character. The novel's setting is somewhere in the north of England, during the reign of George III (1760-1820), and goes through five distinct stages: Jane's childhood at Gateshead Hall, where she is emotionally and physically abused by her aunt and cousins; her education at Lowood School, where she acquires friends and role models but suffers privations and oppression; her time as governess at Thornfield Hall, where she falls in love with her Byronic employer, Edward Rochester; her time with the Rivers family, during which her earnest but cold clergyman cousin, St. John Rivers, proposes to her; and her reunion with, and marriage to, her beloved Rochester. The novel has been adapted into a number of popular forms, including film, television and theatre. However, perhaps more importantly, the novel has been the centre of a number of rewritings and reinterpretations. Most notably reinterpretations and rewritings by notable authors have become important within British and American literature, including novels such as Jean Rhys's Wide Sargasso Sea. Charlotte Bronte (21 April 1816 - 31 March 1855) was an English novelist and poet, the eldest of the three Bronte sisters who survived into adulthood and whose novels have become classics of English literature. She first published her works (including her best known novel, Jane Eyre) under the pen name Currer Bell. Charlotte was born in Thornton, west of Bradford in the West Riding of Yorkshire, in 1816, the third of the six children of Maria (nee Branwell) and Patrick Bronte (formerly surnamed Brunty or Prunty), an Irish Anglican clergyman. In May 1846 Charlotte, Emily and Anne self-financed the publication of a joint collection of poems under their assumed names Currer, Ellis and Acton Bell. The pseudonyms veiled the sisters' gender while preserving their initials; thus Charlotte was Currer Bell. "Bell" was the middle name of Haworth's curate, Arthur Bell Nicholls whom Charlotte later married, and "Currer" was the surname of Frances Mary Richardson Currer who had funded their school (and maybe their father). Of the decision to use noms de plume, Charlotte wrote: "Averse to personal publicity, we veiled our own names under those of Currer, Ellis and Acton Bell; the ambiguous choice being dictated by a sort of conscientious scruple at assuming Christian names positively masculine, while we did not like to declare ourselves women, because - without at that time suspecting that our mode of writing and thinking was not what is called "feminine" - we had a vague impression that authoresses are liable to be looked on with prejudice; we had noticed how critics sometimes use for their chastisement the weapon of personality, and for their reward, a flattery, which is not true praise." Jane Eyre was published later and it tells the story of a plain governess, Jane, who, after difficulties in her early life, falls in love with her employer, Mr Rochester. They marry, but only after Rochester's insane first wife, of whom Jane initially has no knowledge, dies in a dramatic house fire. 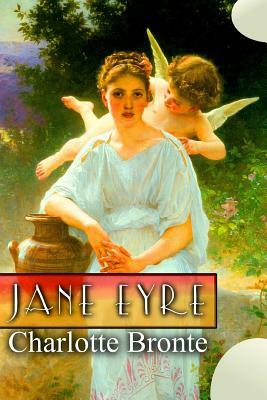 The book's style was innovative, combining naturalism with gothic melodrama, and broke new ground in being written from an intensely evoked first-person female perspective.Charlotte believed art was most convincing when based on personal experience; in Jane Eyre she transformed the experience into a novel with universal appeal. Jane Eyre had immediate commercial success and initially received favourable reviews.